Forget the daily grind. In fact, forget everything you know about salt and pepper grinders entirely. The amazing Dual Grinder from Chef’n is here. And there’s no other salt and pepper grinder quite like it. 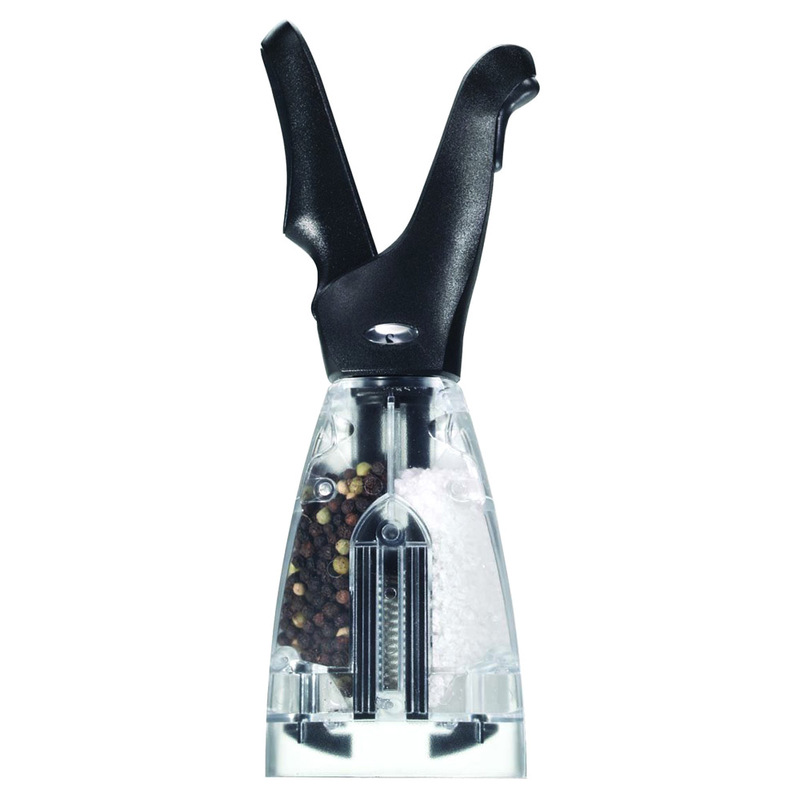 Busy chefs and home cooks will adore the Dual Salt and Pepper Grinder. Made from stainless steel and food-safe acrylic, this clever grinder features soft-grip handles that you squeeze together to get the perfect grind every time. It allows for easy, one-handed use, leaving your other hand free for stirring, chopping, slicing – whatever. Made from stainless steel and food-safe acrylic. Soft-grip handles are easy to hold. Requires very little effort at all to use - simply pick up the grinder in one hand and squeeze the handles together. Twist the top of the grinder to select whether you'd like to grind salt or pepper. Includes salt crystals and peppercorns, to get you started!